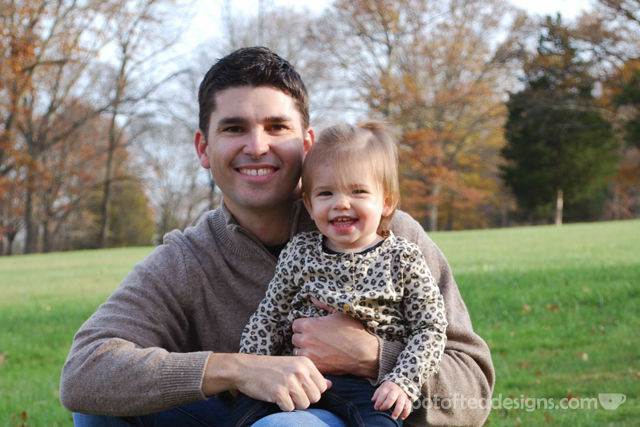 When it comes to birthday cards, handmade are the way to go! 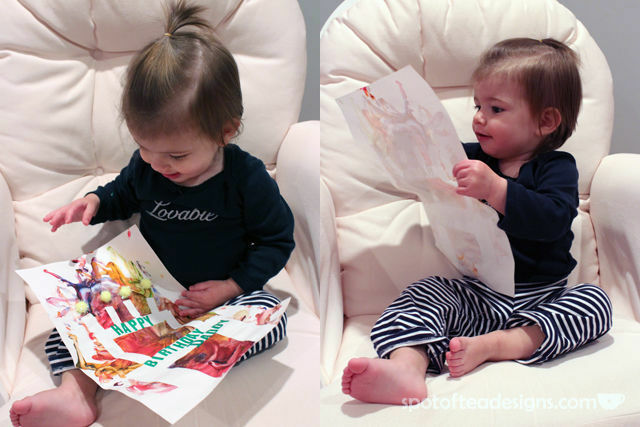 And just because a toddler is too little to write their name, doesn’t mean they can’t put their mark on this milestone gift. 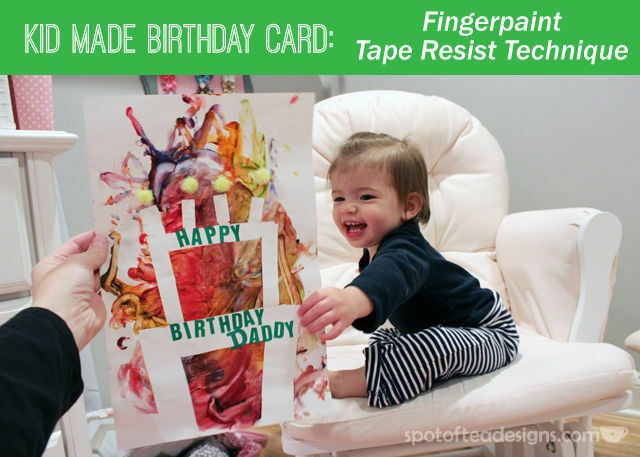 Consider trying out this fingerpaint tape resist technique to form a kid made birthday card! 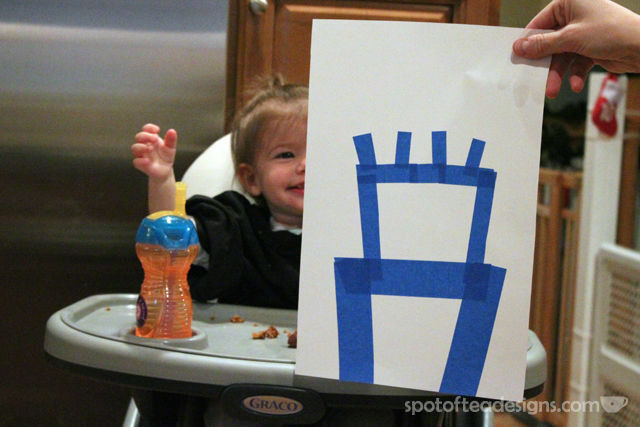 , smock and set her up in her art spot (her high chair) and we made him an extra special card! and created a little stacked birthday cake. Then I let her go to town! She’s really into me dripping paint on the paper and then spreading around the drop so that’s the technique we went for. After a little playtime, she thoroughly covered the sheet which we then let dry. 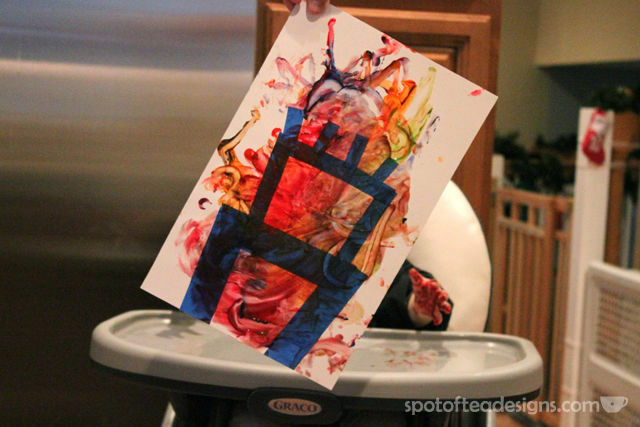 See all our toddler made finger paint projects for different seasons and holidays using techniques like sticker and tape resists here!